So it’s back off to Serbia, land of Handball Fantasy, for the second handball Euro 2012 to be held there. It was the men earlier in the year and now it is the women. Norway are defending champions and favourites, as one might expect, and Handball Views remains even after its long break, ignorant and wildly inaccurate … but’s lets cast our eye over the upcoming championship. Four preliminary groups of four (Groups A-D) contest the opening round with the last placed team being eliminated following this opening round robin. The top three from Groups A and B then enter Group I and the top three from C and D go into Group II. They then play three more games, one each against teams who qualified from the ‘other’ preliminary group. Points accrued against the five other teams in the Group are totalled – and the top two make in through to the semi finals. This all makes a lot more sense once the tournament starts. Norway qualified as Greatest Team on the Planet (TM) and by being holders. The other 15 had to actually qualify. Netherlands should have been hosts with an automatic spot but when they withdrew their spot was taken by the already-qualified Serbia. Given the terrifyingly accurate record of Handball Views you might want to avoid betting your house on our opinion but we think Ukraine will be bottom of Group A, Sweden at the foot of a frighteningly close Group B, Croatia will exit Group C and Iceland bidding adieu from Group D.
Norway. France will come second. Montenegro might rattle them a bit. It’s all LIVE on the EHF YouTube channel here. Matches start on 4 December and the final is on 16 December at 4pm UK. 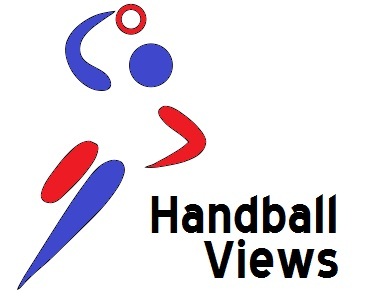 Is Handball Views going to be covering it? We’ll be trying to get ourselves near enough to a working computer with broadband to provide reviews of each day. As ever, your comments are appreciated! How can I get in the mood? You might want to compare the treatment given to promotion between the men’s and women’s tournaments. The top video is the song for the women’s; underneath it’s the men’s. Note that only one seems to want to show the sport first. Left it too late to book your flights and hotels to Serbia, well never mind because like the proverbial London Routemaster you wait ages to host a quality tournament and then three come along together. Having already got to roll out the red carpet twice this year to welcome the best European players, it is likely to get some further use next winter. That is because the nation entrusted with the organisation of the 2013 Women’s World Cup is ……..Serbia. A word to the organizing committee in Belgrade, you have probably become quite proficient at planning Opening and Closing Ceremonies, but if you do need a helping hand, your friendly Olympic hosts have also become experts at that sort of thing. We will be quite happy to lend you Paul McCartney* to lead a sing-along. Sadly the ex-Beatle is the only British person with a chance of playing in Novi Sad or Nis, following the withdrawal of the GB team from the qualifying process. It seems a real shame that having managed to gain exposure from London 2012, their newly acquired fans will not have the opportunity to watch a competitive match at home for several years What type of legacy is that decision building???? Loved both versions of the song, first time I have seen or heard it. Also enjoyed the way that the lyricist squeezed the word suburbia into the song. There are not many ditties that get to include that particular offering.